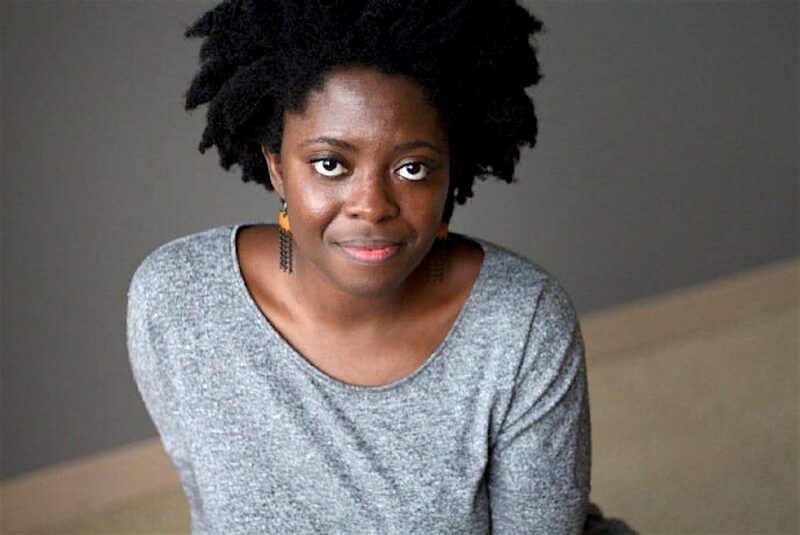 In 2008, someone turned a camera on novelist Yaa Gyasi in a dark room. She’s difficult to see but easy to hear, her velvety voice unusual for a woman so young. Eight years ago, Gyasi, at age 20, was already entrancing, drawing fans as a part of the Stanford Spoken Word Collective. “They call it the Bible Belt because the pants won’t stay up,” she intones in a poem about sexual hypocrisy at a Christian church. The performance is humorous and heartbreaking, but her voice is steady and expressive. Early on, Gyasi alighted upon a storytelling style that doesn’t compromise political engagement or entertainment value. The night before I met Gyasi for the first time, a college friend of hers told me about how impressive she was as a part of the collective. She had a sense of literature, and it was obvious. A writer for the Stanford Daily described her presence as “quiet assurance” in a 2011 review of their winter show. For some, the dredging up of college art would be mortifying or unfair, but Gyasi was already making fascinating work. In 2009, she was awarded a summer trip to Ghana, where she intended to do research for her first novel. A few ideas came and went, but nothing stuck. It wasn’t until she took a trip to the Cape Coast Castle, a colonial fort that dates back to the 18th century, that she found inspiration. Formerly a holding bay for slaves and storage site for heavy artillery, the castle has been retrofitted as a tourist attraction, complete with tours of the colonial governors’ drawing rooms. Gyasi was surprised by the tour’s disregard for the experiences of slaves trapped beyond what they called “The Door of No Return.” “The place felt haunted to me in this particular way, and it was something that I really wanted to explore,” she would later say. She left with a sheaf of notes and an image in her mind: the African wife of the governor who lived upstairs.